As a runner you’re known for pushing the limits, constantly challenging your legs to move faster. This can put strain on your body and because impact protection padding makes running shoes heavier – it’s hard to win. The solution? 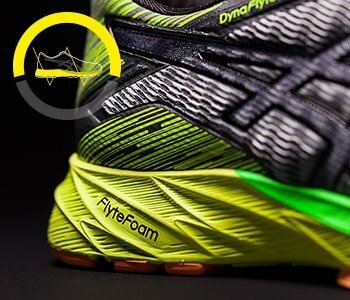 ASICS DynaFlyte™. Designed to meet the needs of resilient runners, DynaFlyte™ has overcome the challenge of maintaining effective cushioning in a lightweight shoe to keep you moving faster. 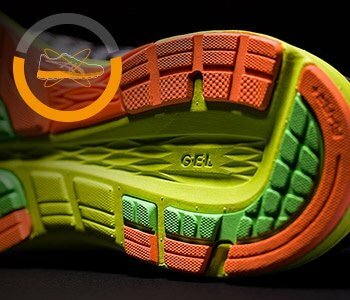 It took the ASICS Institute of Sports Science three years in development and 300 individual prototypes to engineer their lightest, most responsive cushioning system ever – and provide you the ultimate feeling of flight. The full-length FlyteFoam™ midsole, used for the first-time ever in its purest form in DynaFlyte™ running shoes, delivers lightweight and highly functional cushioning to take you from running to flying. Experience the lightness of flight in ASICS DynaFlyte™ and Kayano™ 23 at leading sport retailers nationwide. FlyteFoam™ is the lightest cushioning material ASICS has ever made, 55% lighter than the industry standard (EVA). Reinforced fibres allow the FlyteFoam™ material to bounce back to its original shape after every run. 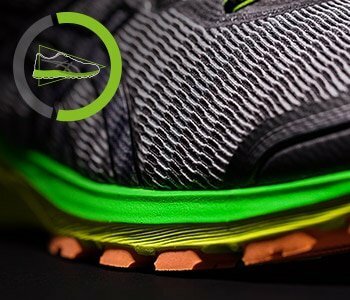 FlyteFoam™ technology offers unmatched cushioning making it feel like you’re not even touching the ground.